Check out Bobby Poe and The Poe Kats on ReverbNation! Video for "Rock and Roll Boogie" from the new 17 track anthology by Bobby Poe and The Poe Kats, "The Rockabilly Collection". 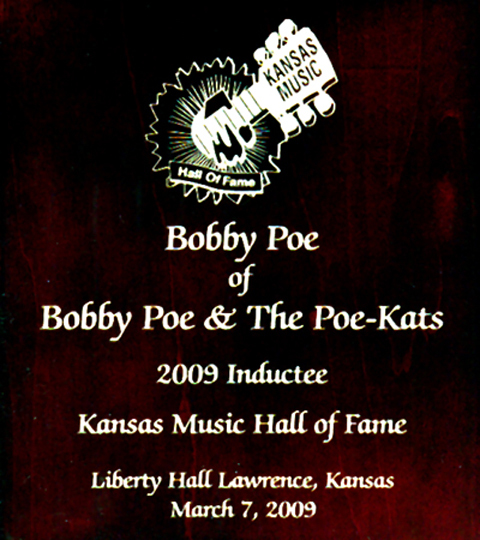 Plaque awarded to Bobby Poe for Bobby Poe and The Poe Kats' induction into The Kansas Music Hall of Fame. 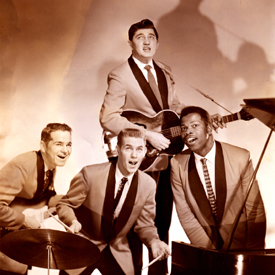 Bobby Poe and The Poe Kats - Kansas Music Hall of Famers and Rockabilly Hall of Famers from the 1950's - were one of the first interracial Rock and Roll groups. The Poe Kats featured legendary African American piano player Big Al Downing and renowned lead guitarist Vernon Sandusky. 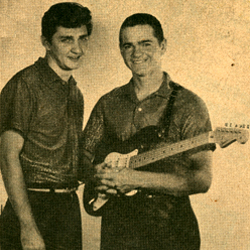 In 1956 when Bobby Poe started the band, Big Al and Vernon were both 16 and Bobby was 22. Drummer Joe Brawley, who was also a teenager at the time, rounded out the quartet. 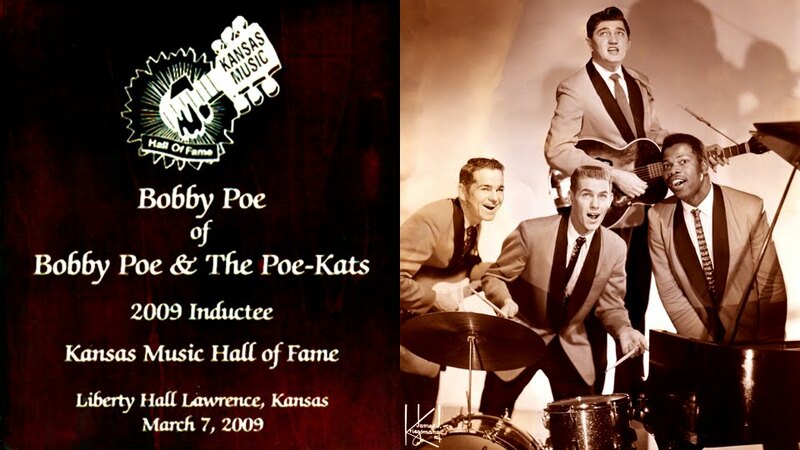 Bobby Poe and The Poe Kats were inducted into the Kansas Music Hall of Fame on March 7th, 2009! The late, great Big Al Downing went on to become a Number 1 Country star. Vernon Sandusky was the leader of the British Invasion-era band The Chartbusters in the 1960's and starting in the 1970's was Country Music Hall of Famer Roy Clark's lead guitarist for over 20 years. 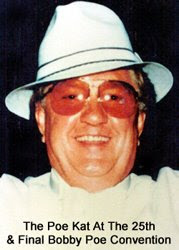 Bobby Poe went on to become an artist manager and producer in the 1960's. In the late 1960's "The Poe Kat" founded the respected music industry publication "Pop Music Survey". 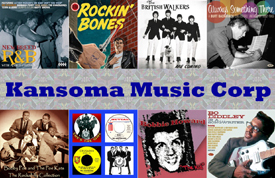 Starting in 1972, Bobby Poe presented 25 annual "Pop Music Survey" Radio/Record Conventions, which lasted until his gala retirement Convention in 1996. The Poe Kats were also Rockabilly Queen Wanda Jackson's first Rock and Roll touring and backing band. Various members can be found on her early Capitol Records singles, including the Rockabilly classic "Let's Have A Party". 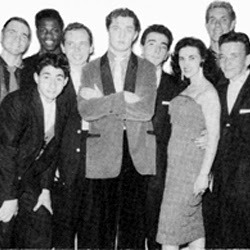 Here is a picture from a gig featuring Bobby Poe and The Poe Kats, Danny and The Juniors and Wanda. "Let's Have A Party" was first recorded by Elvis Presley for his film "Loving You" and was then known simply as "Party". 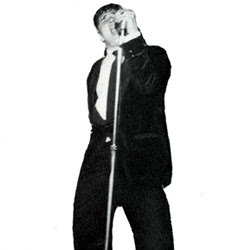 At Elvis' suggestion, Wanda's version was recorded around the same time (when she and Elvis were dating) and featured The Poe Kats' Big Al Downing on piano, Vernon Sandusky on lead guitar and Joe Brawley on drums. Also on the session were Buck Owens on rhythm guitar (who was just starting his career) and Skeets McDonald on bass. It took a couple of years - until 1960 to be exact - for "Let's Have A Party" to become a Pop hit and one of Wanda's signature songs. Wanda Jackson was into the Rock and Roll Hall of Fame on April 4th, 2009! Our sincere congratulations to Wanda! Her single "Let's Have A Party" has been described as the first Rock and Roll song recorded by a woman! 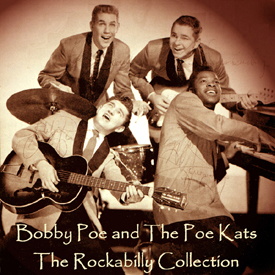 Bobby Poe and The Poe Kats' debut single on White Rock Records - "Rock And Roll Record Girl" backed with "Rock And Roll Boogie" - was originally released in 1958 and is highly prized by collectors. It was a Number 1 record in Texas at the time. We would also like to take this opportunity to mention the rare recording "Piano Nellie". 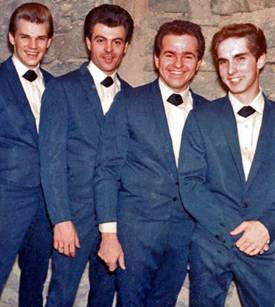 "Piano Nellie" was recorded under the name Bobby Brant and The Rhythm Rockers. It features Bobby Poe, Big Al Downing and Vernon Sandusky of Bobby Poe and The Poe Kats, along with new drummer Mitch Corday and bass player Johnny Dubas. 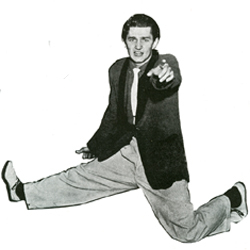 After this single, Bobby Poe would become the manager of the band, which thereafter went under the name of Big Al Downing and The Rhythm Rockers.